Never Believe the Salesman’s Story! 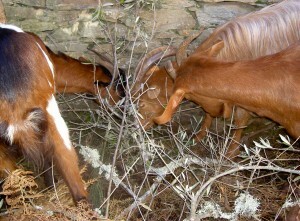 Please welcome the three newest members of the little Casalinho goat herd. Mrs Magoo, Beyonce, and Kylie arrived yesterday, and before you start sniggering, I did not choose those names! This is Beyonce. 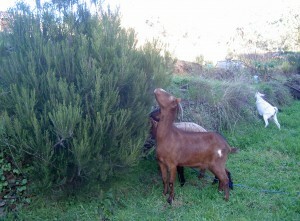 She’s the biggest by a long way, and bigger than our existing goats too although more leggy. This is Mrs Magoo, and she’s the eldest and boss of this little group. Looking at those horns, you can understand why! Finally, below is Kylie. 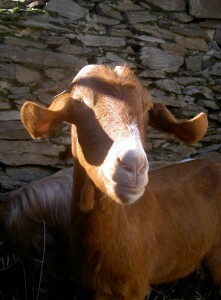 She’s probably the prettiest goat I’ve ever seen. She’s also proven to be an adept escape artist, even in the brief time that she’s been here. All three are pregnant, although we’re not quite sure when they’re due. I’m not an expert by any means, but my guess is that it’ll not be too long. A short period of quarantine when new goats join the herd is normally a good idea, but space is at a premium until we’re able to enlarge our accommodation so I’m very keen to be able to mix the herd up a little if possible before kids start arriving. 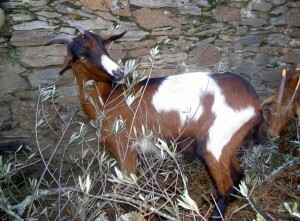 With that in mind, I decided to start introducing the two groups of goats this afternoon. 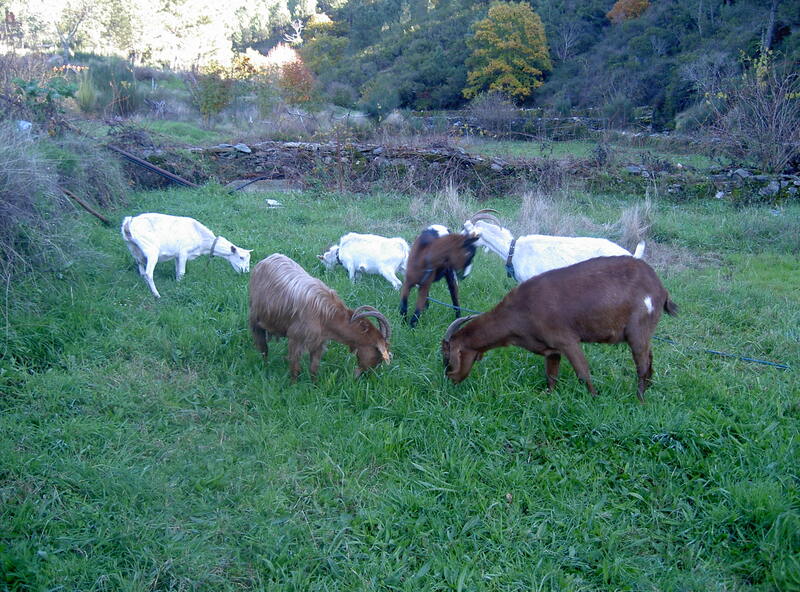 My thinking went that if I could get Horny, our current boss goat, to accept them then the others would follow. Neutral space was also required so a field full of lovely tasty grass to take their minds off each other seemed a good choice. 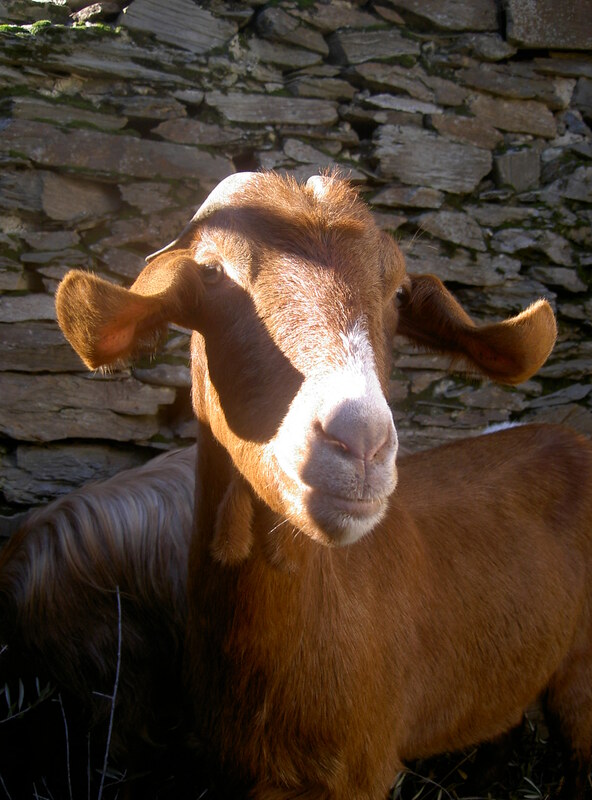 My one on one meeting went awry straight away when the remaining new goats neatly jumped the gate of their enclosure after I removed the first. So I got out a couple more original goats too to even up the score. Oh, and an extra who escaped. So 4/3 and the game is on. Two groups on opposite sides of the field, all munching furiously and studiously ignoring each other. Horny had a quick ‘my horns are bigger than yours moment’ with each of the new goats in turn, but none of the parties were particularly enthusiastic about it and quickly returned to mowing the field. Very pleased with the first introductions, I decided to take everyone home. Easy goes with the old goats. Even Mini-Horny, who is a beast to recapture, took herself home with no trouble. The new goats, so I was told, respond to their names and follow you home. 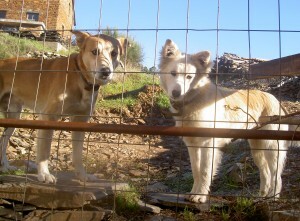 I can confirm that they respond to their names, but follow you home? You must be joking! I had one on a lead, so I took her home hoping the others would follow. No such luck. Took the lead off her and went back to round up the others, at which point she jumped the fence in order to rejoin her mates. 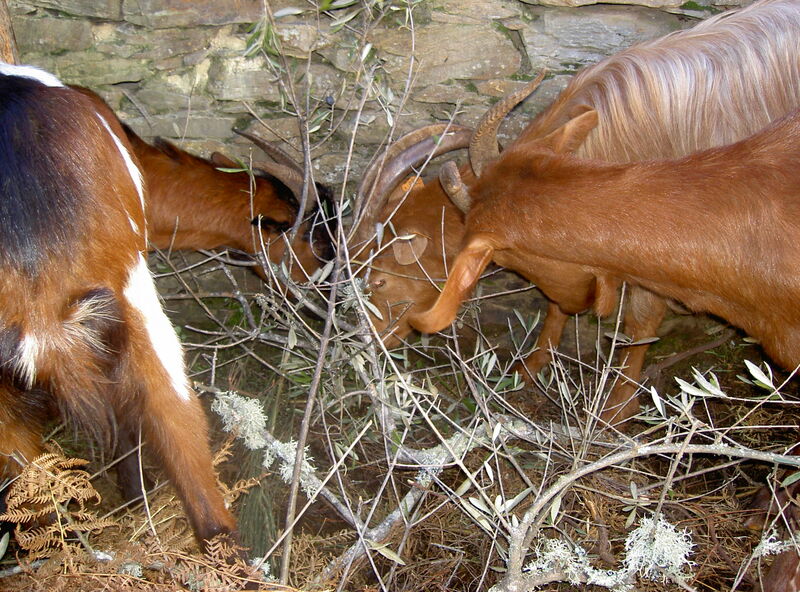 Three goats, no leads, no collars. Imagine, about 90 minutes later, the next scene. 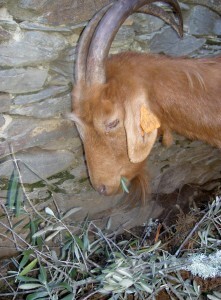 Me, on hands and knees on the neighbour’s terrace, pretending to be a goat and munch grass. I was obviously rather convincing as after ten minutes of this I managed to get close enough to Mrs Magoo to leap up and grab her by those wonderful horns. Oh joy, the other two followed her home this time. So there’s the moral of the story – never, ever believe the salesman’s story! Or at least, make sure you’ve other people around to help you round up recalcitrant goats! 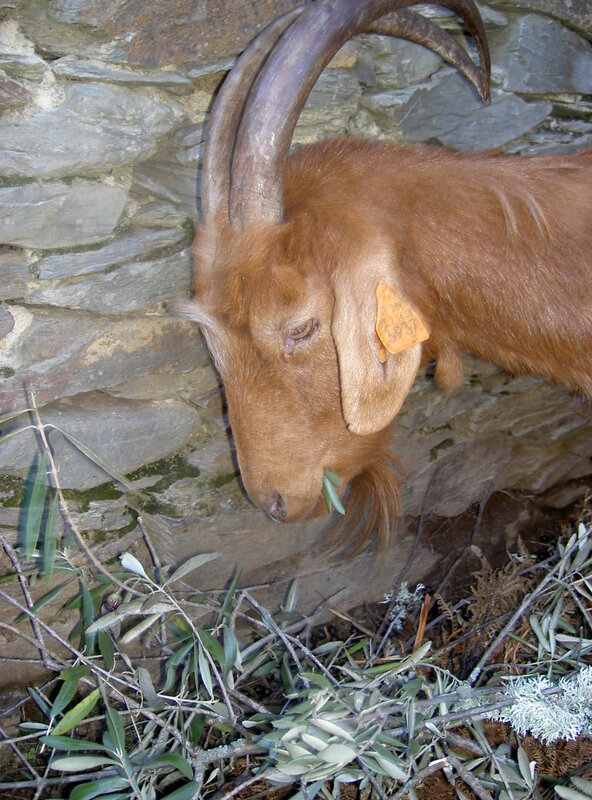 The goats are busy munching olive leaves now, looking innocent whilst they very possibly plot their next plan to thwart me. But I’ve got my spies keeping an eye on them now! 3 comments to Never Believe the Salesman’s Story! 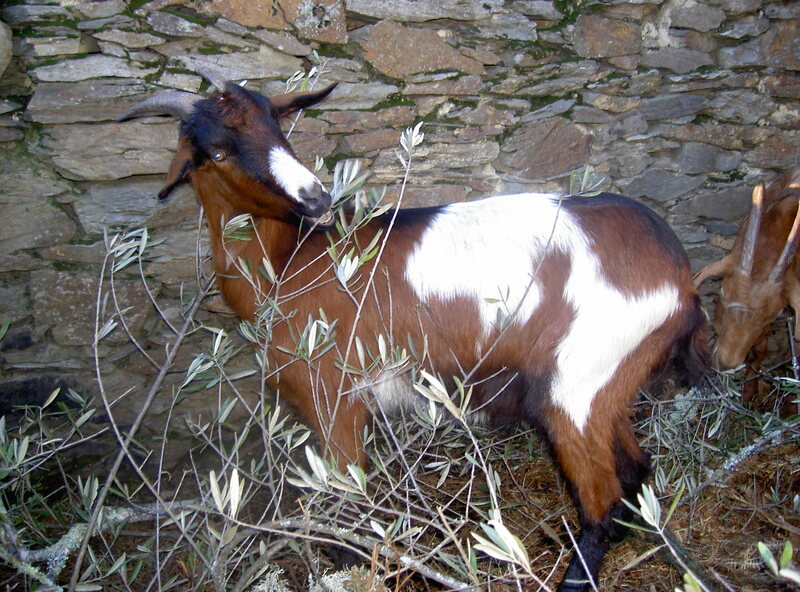 never ever believe anything if it involves a goat…. 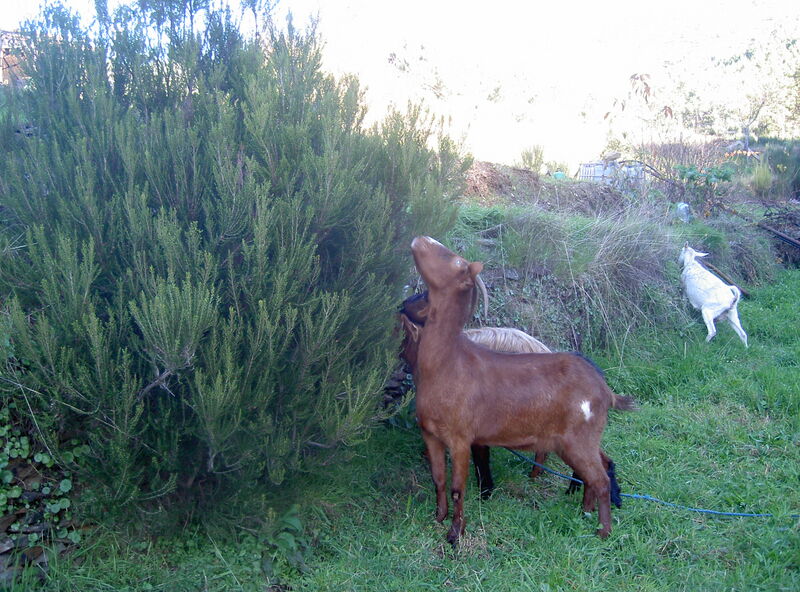 Now I remember why we don’t have goats – if they ever were to get into my veg patch …. !! !